Speedtile - your bookmarks! - Adding New Sites Every Day ! 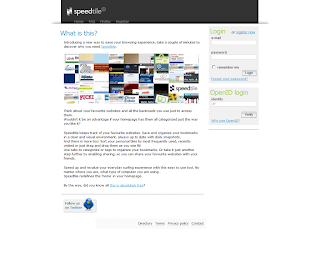 Online application to keep your bookmarks centralized and organized - Speedtile.